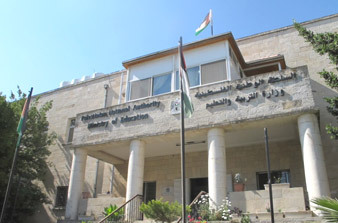 The Ministry of Education and Higher Education of the Palestinian National Authority is the branch of the Palestinian government in charge of managing the education in the Palestinian territories. It was established in 1994 after the formation of the Palestinian National Authority. The ministry’s missions include finalizing the establishment of a Palestinian national curriculum by hiring teachers and providing classrooms and books, which they had done throughout 2001-2005. Just as it is with class attendance in school, staff attendance is equally important and the ministry wanted to improve the monitoring of staff attendance within their premise. With that, they turned to FingerTec products, which were offered to them by our reseller, Al Jaffal. Al Jaffal had suggested that the best solution for the ministry’s time attendance needs is to install multiple units of FingerTec Q2i. The ministry were happy with the features of the device, including multi-verification methods through fingerprint, card and password verification and were also very pleased with the accuracy in recording time attendance of their staff. A top provider of information and communication technology solutions, Loyalty Technologies Integrated Global Limited have proven to be successful with their distribution of FingerTec products. They thrive on earning total satisfaction one client at a time and are committed to going out of their way to make sure that the products they sell are tailor-made solutions with their activities being entirely customer-driven. Having Loyalty Technologies as part of the FingerTec family is crucial in order to market our brand of products in their region and with this, we hope that they will continue to do a great job in selling and distributing FingerTec products. 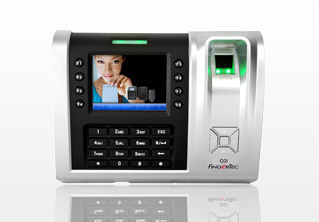 Copyright © 2000-2013 FingerTec Worldwide Sdn. Bhd. All rights reserved.